When you venture to countries in Asia, you typically find that English has invaded popular culture, if only in some small way. Here, English words, phrases or acronyms are everywhere, particularly on cars. If you think our cars in America have a lot of badges — with identification markings for make and model, engine size, optional equipment, trim level, etc. — then you should see the cars here. There are badges, stickers, and decals galore on almost every car, letting you know all the great things about this particular model. GOA body. EBD. Power Steering. Direct Injection. Turbo Diesel. Even decals to let you know the car has air bags! Then there are the stickers the owners add themselves. Along with some other curiosities, here’s a miniature photo tour of the roadways in Hat Yai. 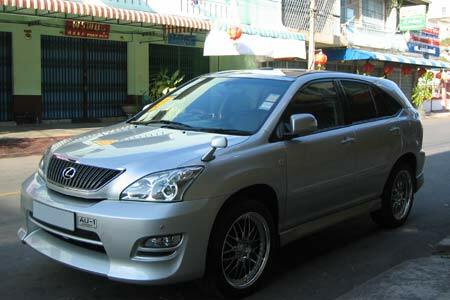 The Lexus RX equivalent in Thailand — which I often call “The Official Car of Naples, FL” because there are so damn many — is very exclusive and expensive. I captured this one parked just down the street from Apple’s home. 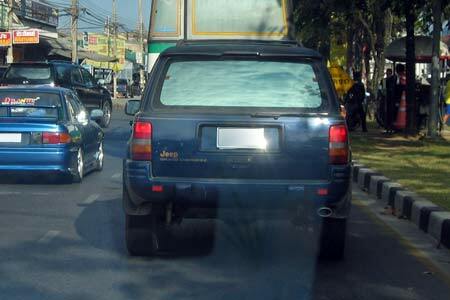 I didn’t know they had Cherokees in Thailand. This is the first, and only, Jeep that I’ve seen here. No, the owner didn’t add this sticker. 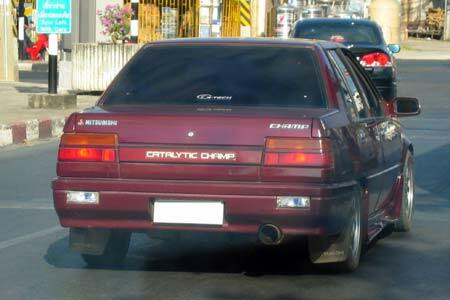 “Catalytic Champ” is actually the model name of this Mitsubishi! 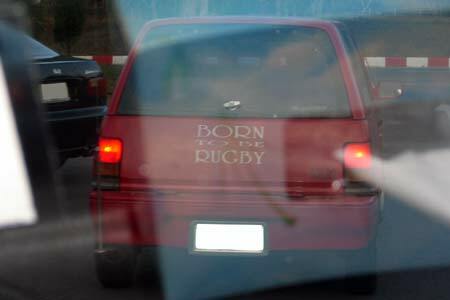 This Daihatsu Mira was “Born to be Rugby.” It was also stuffed into the tiniest parking space I’ve ever seen.